No matter which stocks you trade, The Wizard has you covered. We offer over 8,600 equities from every major index, sector, industry and market capitalization. 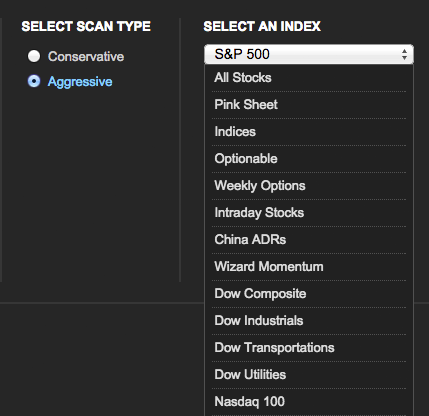 Choose from 36 index categories. The Wizard offers stocks from the major indices, such as the S&P 500, Dow Composite, Nasdaq 100 and the Russell 2000 – as well as many 32 categories across small-, mid- and large-cap stocks. Pinpoint the hottest sectors & industries. 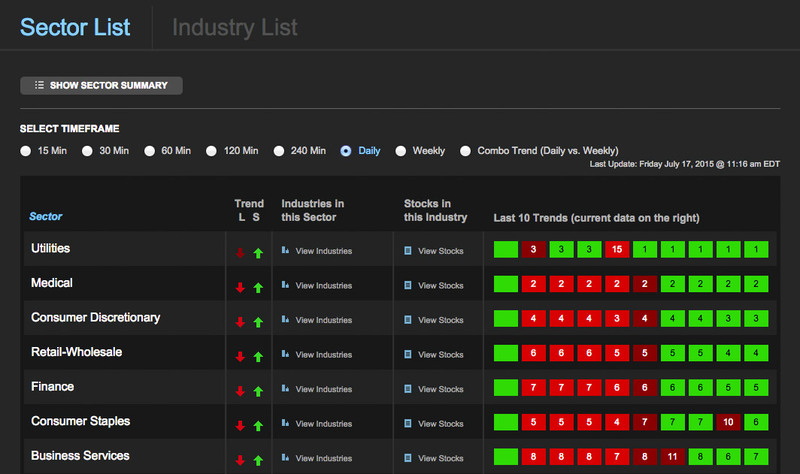 You can quickly and easily find the strongest – and weakest – sectors and industries with The Wizard’s sector tools. 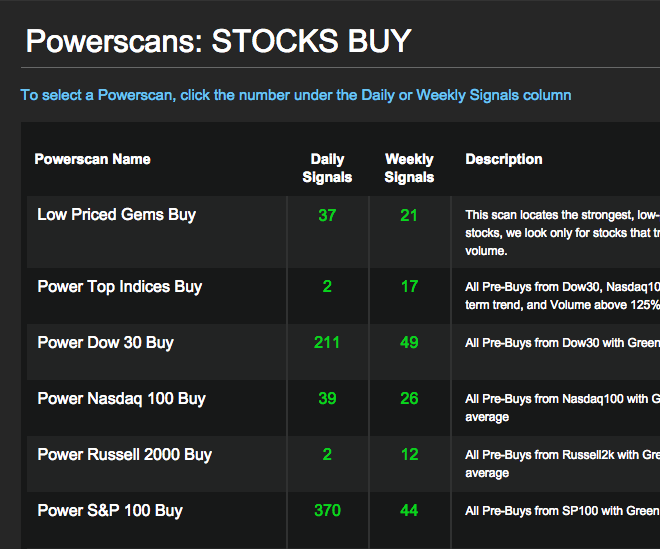 We rank 16 sectors and over 250 industries by trend strength, and we also show both 10-week and 10-day trend histories for each one. Day and swing trading no longer requires numerous charts and endless indicators – because The Wizard provides intraday signals for the S&P 500, Dow 30 and Nasdaq 100. 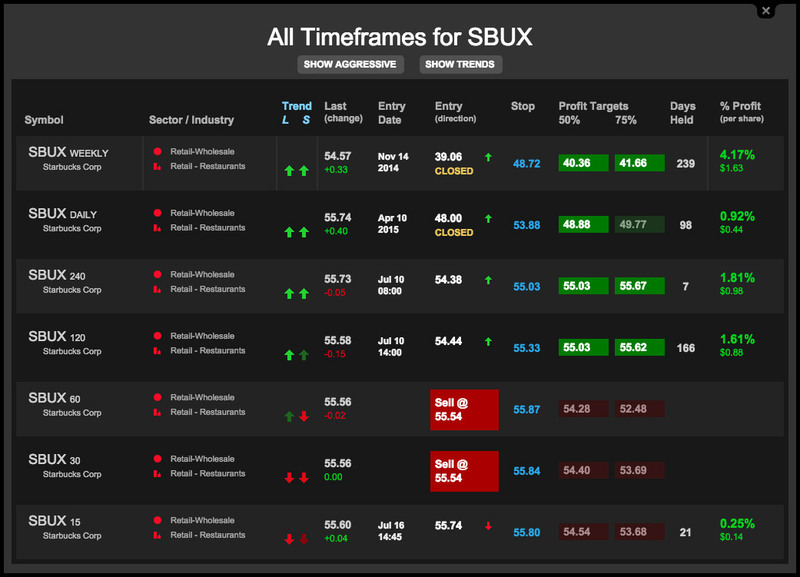 Choose from 240m, 120m, 60m, 30m and 15m timeframes, and trade any way you like. START TRADING STOCKS WITH THE WIZARD TODAY.